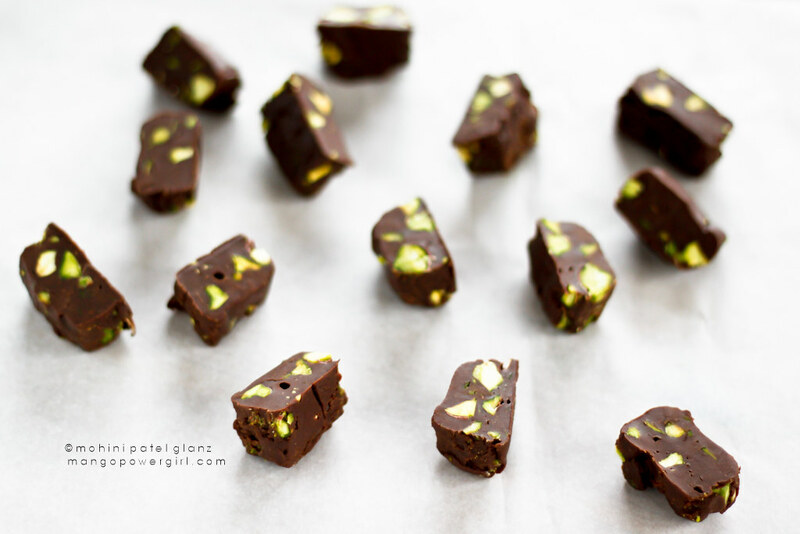 I blogged this recipe for Pistachio Fudge a few years ago after meeting Nigella, and it was a super hit. Up to this day, I still see traffic pick up on this post around the holidays. 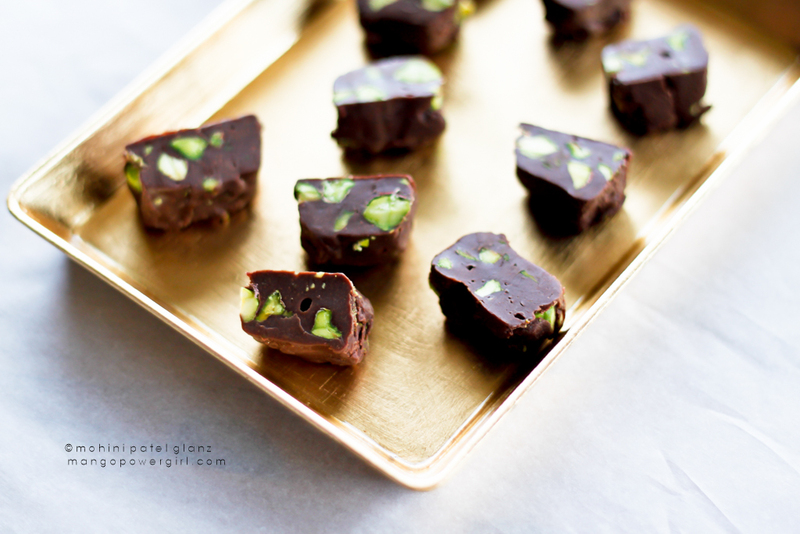 I modified Nigella’s fudge recipe slightly and that’s still how we enjoy it in our home. 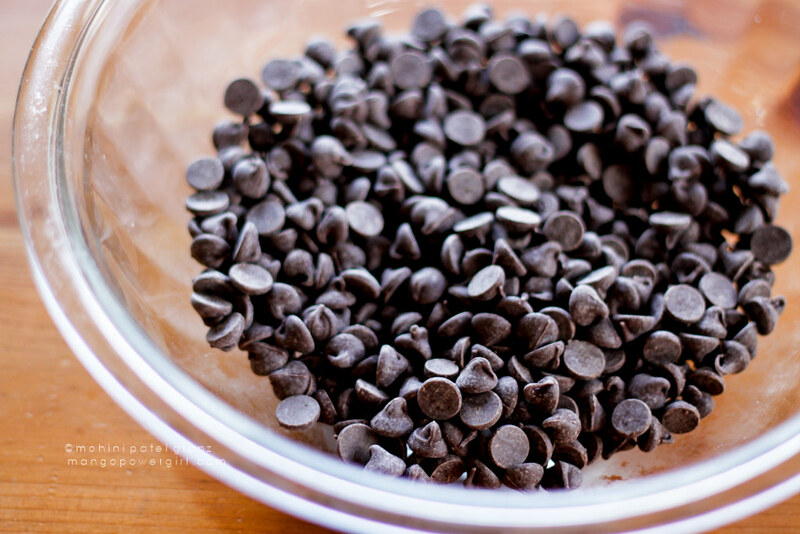 the only thing I changed this time (because knowing me, I had to 😉 was to add a little peppermint extract besides the dark chocolate. It was to change up the fudge a bit and still keep it seasonal for the holidays. This year the fudge has already made it to an office holiday party and in goody bags to thank some of our neighbors. I think I am going to make it again soon, because it’s a sure winner. My only additional suggestion: serve it cold, it tastes 10x better than at room temperature. 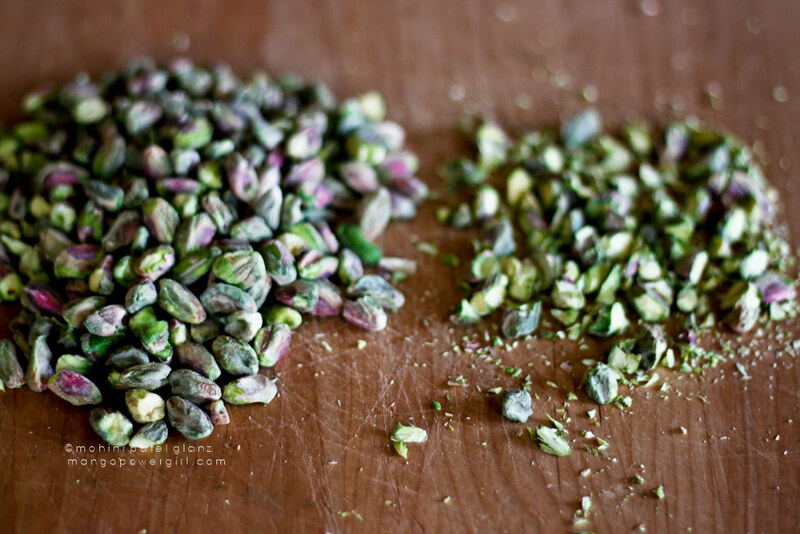 This time I had fun shooting the recipe in steps below, enjoy! 1. Over a double boiler, melt the butter on low heat. 2. 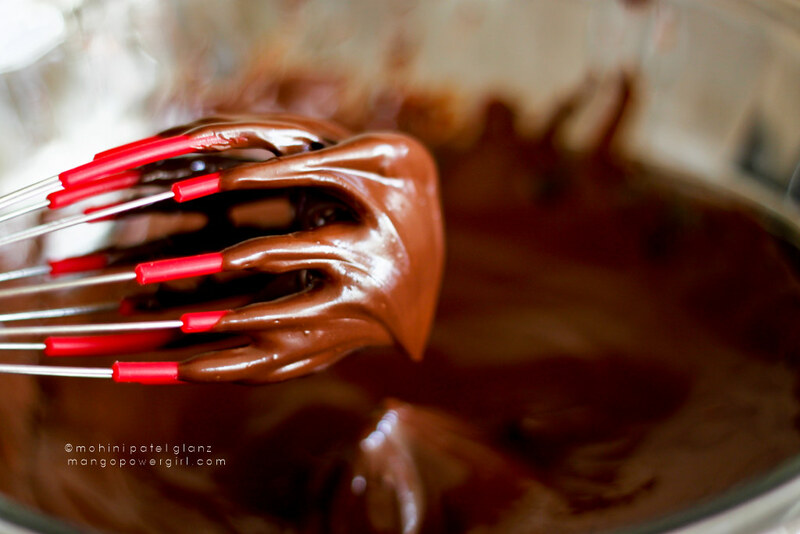 Add the chocolate and stir till it all melts smoothly. 3. Add the condensed milk and peppermint extract, and mix. 4. 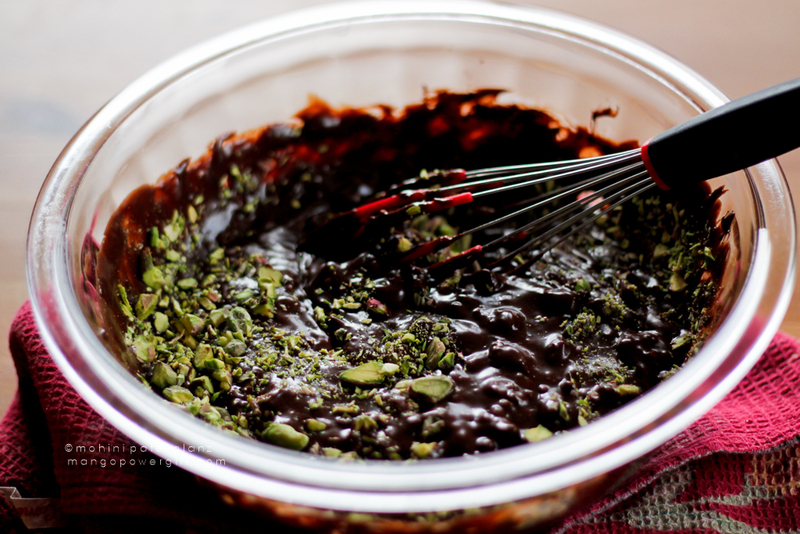 Add the nuts, mix, then take it off the heat and pour it into a big, shallow foil pan. A bigger pan means more pieces, and shallow means not as large a piece. 5. 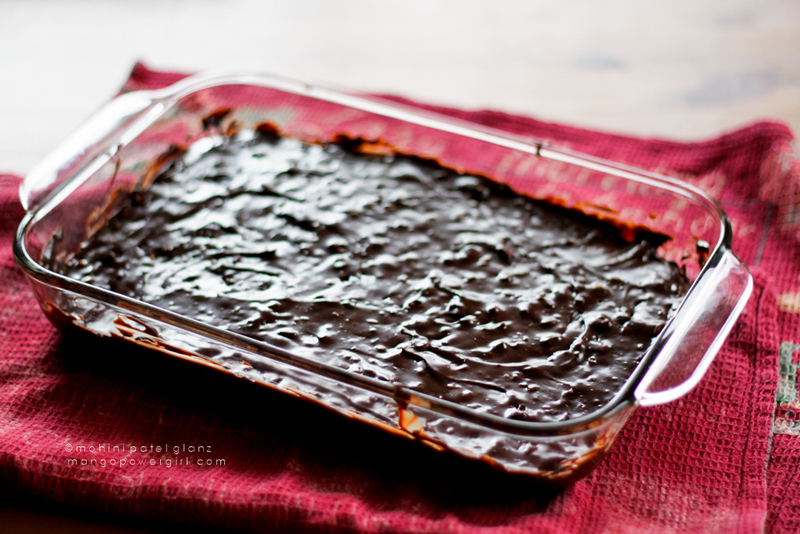 Let the whole thing cool to room temperature, then refrigerate till the fudge sets. 6. Slice the fudge into little squares like I have, or whatever shape your heart desires. Chop it up into bite size pieces…Bring out your fanciest dish and serve it nice and cold! Here are a few more holiday recipes from past years … Happy Holidays! I just made this. Thanks for the recipe!